Jakob H. Macke is Professor for Computational Neuroengineering at the Technical University of Munich, Germany. 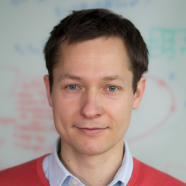 His group builds computational tools for analyzing neural and behavioural data, with the goal of understanding the principles of neural computation in biological and artificial neural systems. While studying Mathematics at Oxford University, Jakob Macke got interested in neuroscience through working with Karel Svoboda and Alex Koulakov at Cold Spring Harbor Laboratories as an undergraduate researcher in 2004. He subsequently performed his graduate research at the Max Planck Institute in Tübingen with Bernhard Schölkopf and Matthias Bethge, where his PhD thesis was awarded the Otto-Hahn Medal of the Max Planck Society. After postdoctoral work with Maneesh Sahani at the Gatsby Computational Neuroscience Unit at UCL, he returned to Tübingen as a Bernstein Fellow in 2012, before setting up the Max Planck Research Group `Neural Systems Analysis’ at research center caesar in Bonn in 2015. He worked at the Center for Cognitive Science at TU Darmstadt for one semester, and moved to the Technical University of Munich in Mai 2018, where he leads the group in Computational Neuroengineering, and co-directs the Masters Program in Neuroengineering. He was a member of the Young Academy at the Berlin-Brandenburg Academy of Sciences and Humanities (BBAW) and the German National Academy of Sciences Leopoldina from 2013 to 2018, and is one of the directors of the FENS Cajal Computational Neuroscience Course. I want to understand how populations of neurons collectively process sensory information and guide complex behaviour. To this end, we develop statistical methods and machine learning algorithms for analysing measurements of neural activity animal behaviour. Advances in experimental techniques make it possible to measure structure and function of neural circuits at unprecedented scale and resolution. However, interpreting the complex data generated by these approaches has proven to be a difficult challenge which requires powerful analysis tools. At the same time, the field of machine learning is being revolutionised by ‘deep learning’ approaches, which use artificial neural networks for extracting structure from data. We are therefore faced with enormous opportunities for synergy between machine learning and neuroscience: To realize this potential, we pursue an inter-disciplinary approach combining elements from machine learning, computational neuroscience and engineering: We develop statistical models for analyzing high-dimensional data produced by modern imaging- and recording methods in neuroscience. Closely collaborating with experimental laboratories, we aim to derive models that can explain neural measurements and adaptive animal behavior. Through a better understanding of the algorithms, abstractions and representations used by the brain, we want to contribute to the development of more powerful and flexible algorithms for artificial learning systems.